Saw a ghost when I was 5. Started to write the hopefully defining Science fiction novel at 11. Escaped from the Chicago’s Public School System at 12. Learned that Christian schools aren’t Christian at 17. Saved a young woman life in college at 19. Stopped terrorists from killing millions at 19. Visited more than twenty places of worship seeking knowledge at 20. Joined a commune in Uptown Chicago at 21. Developed a new variety of Seedless Cotton-less Cottonwood at 22. Received Degree for Ornamental Horticulture at 23. First goal, to move out of Chicago, completed at 24. Put out an auto fire on the way to my wedding in my tuxedo at 25. Managed garden centers with sales over 1.2 million at 27. Became an American Civil War rein-actor at 28. Second goal, built 22 hundred square foot raised ranch, completed at 31. Developed a new variety of White Popular at 32. Developed a new disease resistant Blue Leaf Honeysuckle at 32. Figured out why ghosts and spirits hold truths about the afterlife at 32. Learned the great truth about insurance companies at 33. Managed landscape company and increase sales and production by 250 per cent at 33. Managed greenhouse, six acres under glass at 35. Published lawn fertilizer study on a university campus at 39. Did cable TV spot about gardening at 40. Started lawn care company at 40. Became delegate for the Illinois’ Democratic Party at 40. Moved and bought greenhouse business in Wisconsin and started a new landscape company at 42. Owned and operated greenhouse into landscape company from 42 to 54. Discovering that the state of Wisconsin has been self censoring itself from 42 to now. Did radio program about lawns and gardens at 42. Published monthly garden columns from 45 to 49. Became member of the Garden Writers Association from 46 to 50. Taught Sunday School at 46. Resume writing on the great American Novel about Mars from 51 to now. Wrote first draft in twenty-two months, 176,000 words at 52. 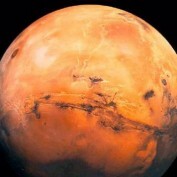 Third goal, to publish the book of Mars, still working on at 57. And I don’t get Writer Block.